Meet Tiara Darnell: One of The Nation's Most Notable Budtenders - High. How Are You? 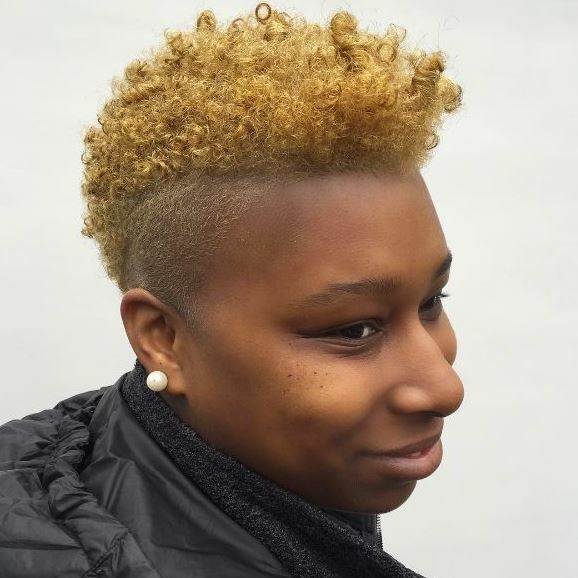 Tiara Darnell is a resident of Portland, Oregon and she knows a thing or two about weed. 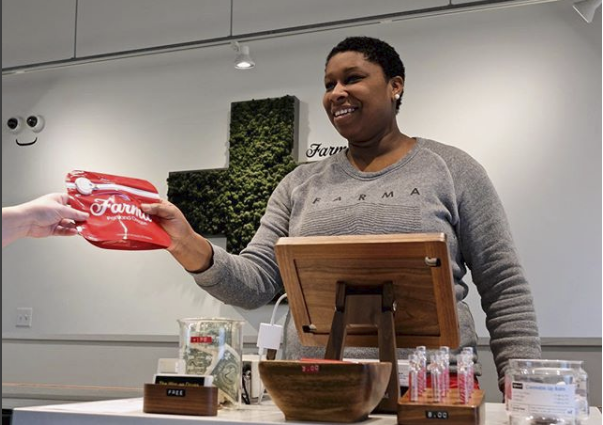 Tiara was given the title of Best Budtender on Leafly’s list of ‘Best in State 2017’ for her excellent customer service at Portland’s top dispensary Farma. I talked to Tiara about how she got her start in the industry, and what advice she would give to women looking to enter the canna-biz. You were named LEAFLY’S 2017 Butender of the year. How do you receive such an honor? You get to be budtender of the year by giving exceptional customer service. That’s really what it’s about. I just happened to be giving the right person, the right information that they wanted and they had a great experience. It all happened at the right time. I know a lot about cannabis science. I’ve learned a lot and it just makes me really excited to be able to share those things with people. So when I get the opportunity to do so, I really dive into it. It’s nice to be able to share the science behind cannabis with people who are trying to decide what to buy. 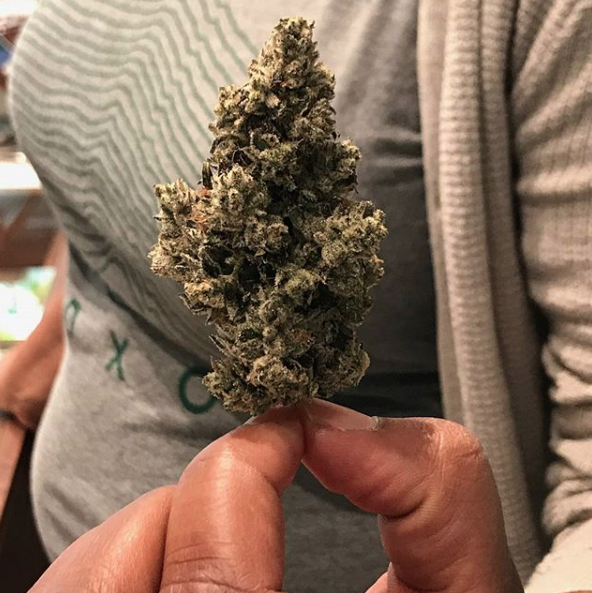 How long have you been a budtender and how did you get started? It hasn’t even been that long. It’s been like six months. A few months before I started budtending, I started going to cannabis related events for women. They were mostly hosted by Tokeativity, which is a women’s cannabis networking and social organization here in the Portland area. I met some really cool women in the industry and that sparked my interest in learning more about cannabis. I realized that there was a lot that I didn’t know. I didn’t know much about it at all to be honest, science-wise, but also women’s experiences in the industry. Also, being in Portland I realized that the industry is very white and it needs more people of color. Especially more Black women and I happened to meet one who has grown to become one of my dearest friends. Just having that companionship in the industry has made it so that I feel like there is a place for me here. Is there any process you had to go through to become a budtender? No. I interviewed for it like a regular job. But the same as in other industries, it helps if you know the right people. I went to a cannabis tech event and I met Mowgli Holmes, who is the founder of Phylos Bioscience. It’s a company that maps the cannabis genome to make it public information. I met him and just happened to mention that I was interested in applying for a job at [a dispensary], Farma. He was like ‘Oh I know them. Tell them I told you you should apply’. A few months went by and I finally applied and they liked me and hired me. My guess is that at Farma they are looking for people who want to do more in the industry than just budtend. Farma is such a great place to grow because they do put such an emphasis on science and making sure the consumer is well taken care of. I was actually 21, so I was a late bloomer. 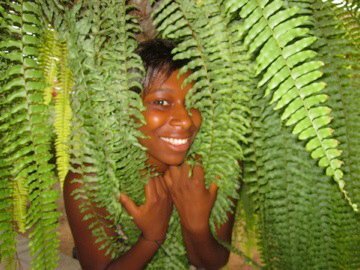 I was studying abroad in Costa Rica with some friends on the Caribbean coast and I had already had a really good time at happy hour at the bar in the hostel we were staying in. I don’t remember where I got the joint that I had or who it came from but somehow I had it. I just remember that I was already pretty tipsy. I smoked a little bit and I remember laughing with some of the travelers I’d met in the hostel. 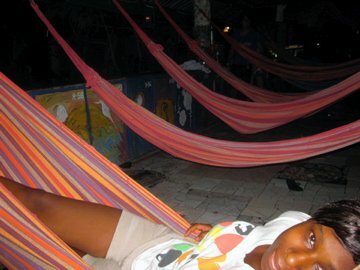 This hostel in particular didn’t have bunk beds, it had hammocks under the stars in the courtyard area. We just smoked and told stories about traveling around Costa Rica. It was a really beautiful experience. Then after that I just remember falling asleep. I don’t know what I had or where it came from, but it was my first time and I couldn’t have had a better experience. Hmm. That’s hard. I guess I’m gonna go with Critical Mass which is grown by Hifi Farms, here in Oregon. Its like a 3:2 CBD to THC ratio and it’s just one of those that I can have in the morning, or during the day. Whenever. Anytime. It just makes me feel really good. It’s got a really nice body high. It gives me positivity and I just feel really pleasant in my mind and in my body. I think that’s why I like it so much. I should also mention that I’m judging the Cultivation Classic. Have you heard of it? No I haven’t. Where is it? It’s in Oregon? Yeah it’s in Portland. It’s actually in May. It’s aiming to be like the SXSW of organic cannabis competitions. They had 160 growers submit samples into the Cultivation Classic and there’s a little over 100 judges this year. We all get around 15 samples that are unmarked and we have a month to smoke them. So like, one every other day. You have to fill out this matrix that they created that will lead you through how it made you feel and what it looks like. Then they aggregate that information and decide on the winners in different categories. I can’t remember all the categories off the top of my head but I know that I’m in the ‘Indoor High THC’ category. So I have 15 cultivars to get through by April 1st. I always wondered how they judged competitions! The one I’m most familiar with is High Times Cannabis Cup. I’ve always wanted a judges pass but I felt like after the first couple stains I’d be so fucked up. Yeah its kind of a lot. I feel like such a baby like, “Ugh I have to smoke these strains!”. I’m not complaining at all but I’m just saying life happens at the same time. I say that to say I mentioned Critical Mass as my favorite but who knows. There’s so many people crossing different strains. So much new stuff coming out. Critical Mass is just a good go-to for me because it smells good and it makes me feel good. Do you have any advice for anyone, especially women of color, who are looking to enter the the cannabis industry? You know, the first thing that pops into my head is this quote from Issa Rae. I don’t remember what she said verbatim, but it was something to the effect of “Network across, instead of networking your way up”. I just really believe in that. I think that it can be difficult in places like Portland where the city is already really white and the industry is very white too but, the benefit is that there are a lot of women in the industry so that’s already a good starting point. There are actually some women of color here who are really doing it! I think the best thing would be to find someone that you really relate to and talk to them about their experiences and kind of going from there. Go to all the events. There’s a lot of opportunities to work in the cannabis industry and in my experience in Portland, there’s a lot of opportunity but that doesn’t alway mean you’re going to end up in the right spot. It doesn’t mean that you’re going to end up with an employer that’s going to take care of you so you should definitely talk to people. That will give you a good sense of where to go and where not to go. So definitely network across, and then go up together.